I’m on my way to the University of Leicester to present at an event on economic democracy. Reading Workplace Democratization by Paul Bernstein on the way, after meeting him last month, I learned of the astonishing story of the Czech shoe company Bat’a in the 1920s. The firm had suffered huge debts after being taken over during World War 1 by the Austro-Hungarian Army and from a dramatic warehouse fire one year after the war. By 1922, with high unemployment and inflation, the company did something different. Rather than lay off workers and raise prices, as other firms were, Bat’a decided to cut the selling price of the product by almost half (46%) and to lower wages of all staff, including management, by 40%. To make the difference, the owner decided to cut internal costs and waste by turning over the firm to the workforce. After a test with one production unit, the firm reorganised on the basis of self managed workshops. The price cut had caused a surge in sales, as people always need shoes even in a recession, and the new production model proved far more successful in meeting the new demand. One year on, Bat’a was able to cut prices again by 17% and to raise wages by 25%. The model of self administration was extended across all areas of the company, including accounting, sales, procurement. By 1926, only four years after of the start of the plan, wages in the firm had risen on average by 44% while the average price of shoes to the customer had been cut by 40% beyond the initial price drop. The key to this was a reorganisation based on what worked, with incentives flowing to those who helped to raise the production and quality of the shoes. The share of the profit of the workshops rose from 50% to 80% while central company operations now received only 20%. Such was the success that the country passed legislation to make it easier to bring in employee self administration and ownership in the same decade, perhaps helping to explain a culture in which the Czech cooperative sector, from furniture to jewellery, is still one of the most admired worldwide. And two days after an inspiring trip to New Lanark, I am in Bournville for an event with the Co-operative Party. Two utopias in a week! 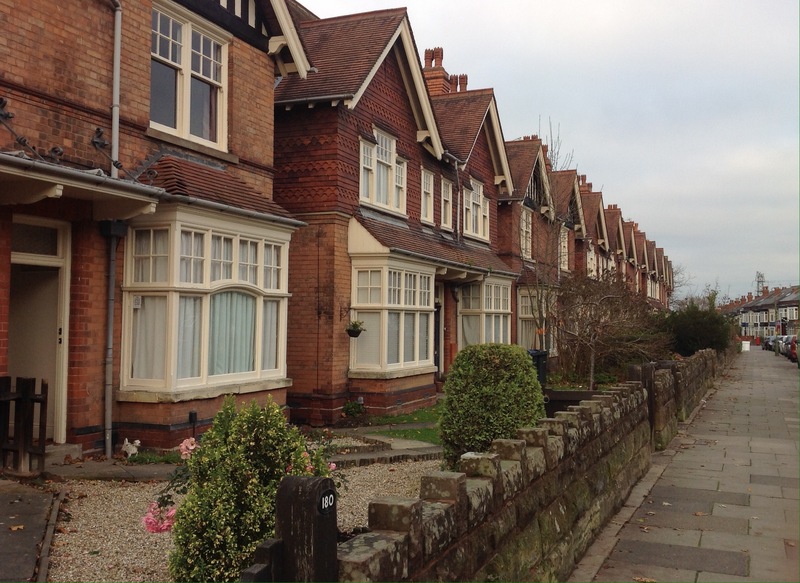 George Cadbury intended Bournville as a model village for “the labouring population in and around Birmingham, and elsewhere in Great Britain.” The first houses went up in 1895 and the area overseen by the Bournville Village Trust now has around nineteen thousand residents. 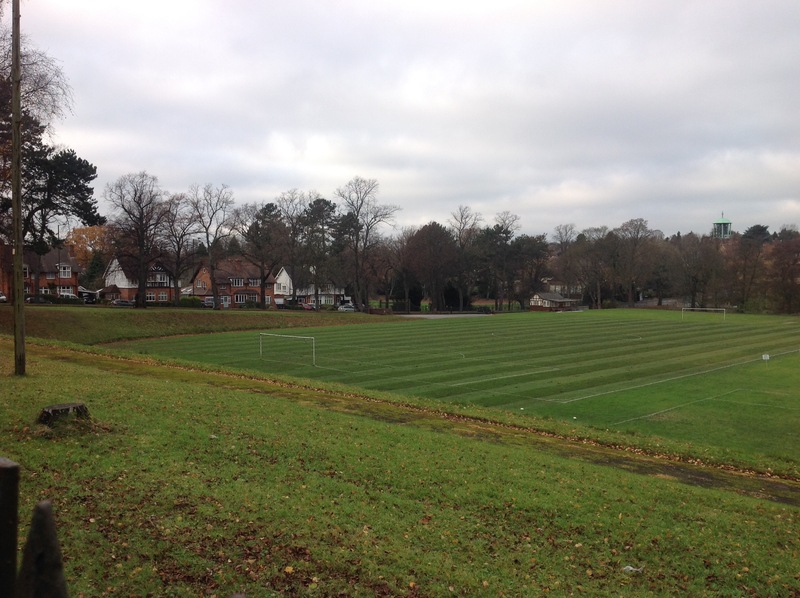 A review a few years back by the Joseph Rowntree Foundation concludes that Bournville is an exemplar of a good neighbourhood. Although the village, like New Lanark, was conceived top down by ethical business leaders, researchers note the extent to which there has always been community involvement in managing what goes on. 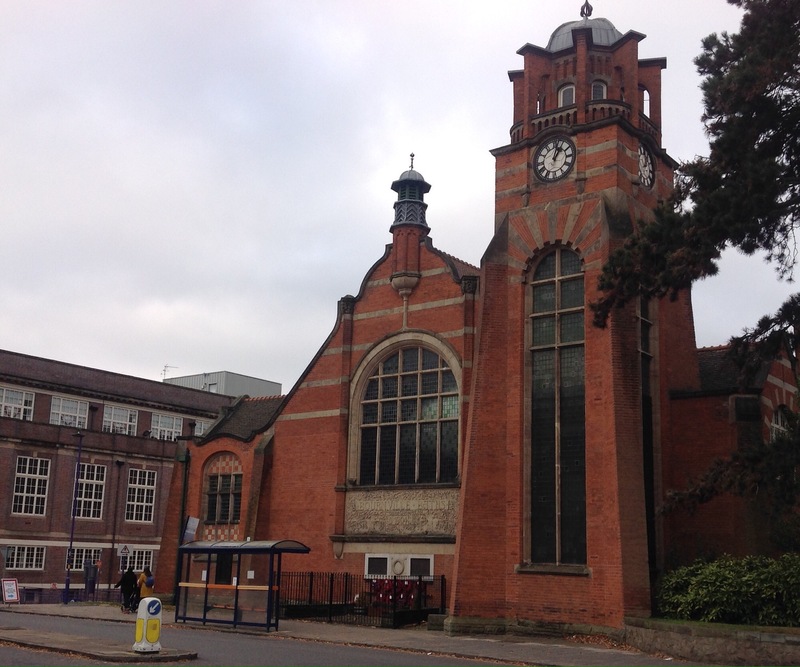 Perhaps we could say Bournville, like Letchworth Garden City, are the longest running modern experiments in community economic development in the world. And they work. The Trust has since, it appears, taken up the challenge of diversity. And if we were starting a new utopia today, we would surely start with openness, and sustainability, at its heart. Or perhaps that is Findhorn and the growing number of eco-villages around the world run on co-operative and communitarian lines. That is the great challenge of our day – how do we build community in an open, restless world? This too has been the connecting theme of my accidental week visiting two of Britain’s greatest utopias: how should we flourish together? New Lanark is a set of cotton mills founded in the late eighteenth century in the beautiful setting of the Clyde Falls in Scotland. Now a World Heritage Site, the mills are famous in part because of the enlightened stewardship of Robert Owen. In Owen’s day, the world’s first crèche, its treatment of children, its emphasis on education and on engineering excellence, made it a beacon of interest to visitors from across the world. Twenty thousand visitors came in the years between 1815 and 1825, in a period of post-war poverty and change for which New Lanark, as Owen saw it, was the cure. On January 1st 1800, a propitious date, he started work as manager and partner of New Lanark. Owen focused both on the engines but also the ‘living machinery’ of the workforce and community of New Lanark. In the mills, cotton dust choked the lungs, open machinery was an ever present danger to those working by them. Between the tenements and the factory was the mill lade, which like the river beyond was represented an ever present danger of drowning to young children. Pilfering was rife. There was a need for good management. The rules and regulations Owen drew up were influenced by his time in Manchester, including, with a focus on cleanliness, his involvement with the Manchester Board of Health. Each house was to be cleaned once a week, whitewashed once a year. The minimum age that a child could work in the mill was set as ten (taken up later in factory legislation) and from the age of five, children could attend, free, the school. 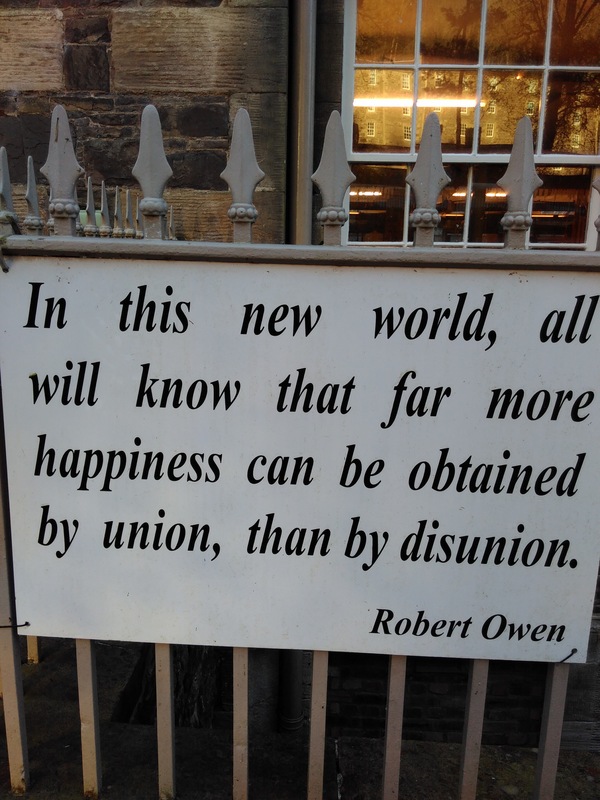 Robert Owen himself, born in Newtown, the sixth child of seven, worked from the age of eight, covering his school costs by working as a teachers assistant and at or around the age of ten he left for London to find work as an apprentice. The performance of every worker was assessed daily in ‘books of character’ and flagged up close to where they worked, on two inch blocks of wood, with yellow good, white excellent, but blue indifferent and black bad. Everyone had a right to complain if they disagreed with the grading. Every worker contributed to a friendly society operating as a sick fund, to cover time off, and Owen started a savings bank, which flourished with deposits from the workforce of £3,000 by 1818. In 1812, Owen published A Statement Regarding the New Lanark Establishment, which argued that social improvements such as schools would enhance profits. In the same year, he published Essays on the Formation of Character, eventually part of his major book, A New View of Society. At an extraordinarily tough time for business, with war running through to 1815, New Lanark ran at a profitable level throughout. In 1816, Owen argued that, with new machinery and his social reforms, New Lanark, with its two thousand inhabitants, completed as much work as the whole population of Scotland might have managed sixty years earlier. In the same year, the educational activities in the settlement were organised in a new building, the Institute for the Formation of Character. Alongside New Lanark, which was a practical success, Owen was known for the establishment of New Harmony, a communitarian settlement in the USA, which, despite many ‘firsts’ (the first kindergarten, infant school and free library in the USA) was a practical failure. The links between the two intrigues me. Both were utopian in their scope and ambition. 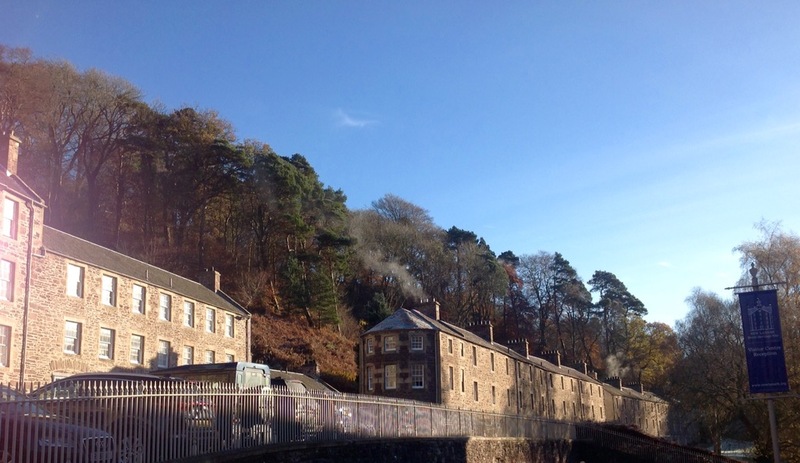 In New Lanark, Owen harnessed a number of social innovations, including factory reform, public health and worker and primary school education, that dovetailed beautifully and worked economically. 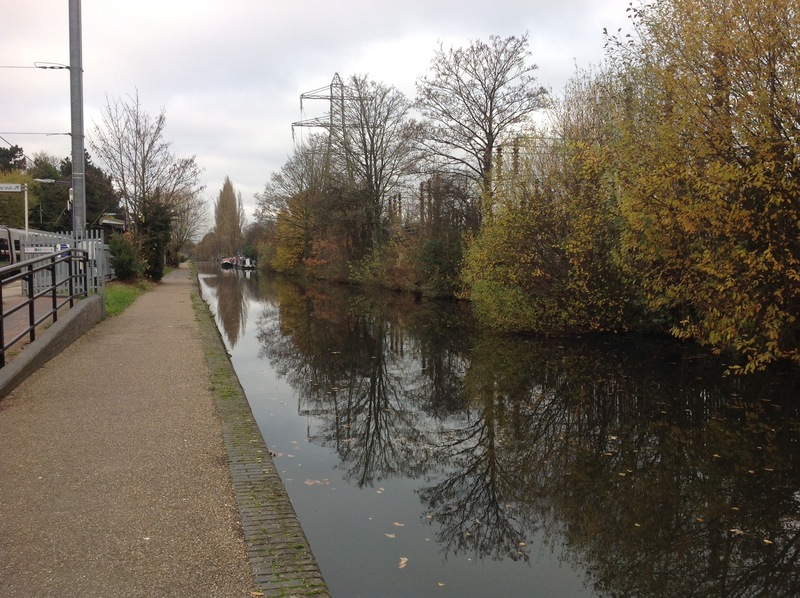 The great lesson that Owen drew was that human nature was shaped through the social and natural environment around it. Change the environment, you can create happiness and order – something that no doubt explained why one of New Lanark’s later investors was Jeremy Bentham, the great utilitarian. In New Harmony, Owen tried to create a radically different environment, but with a different set of social innovations that proved impractical and without the time or opportunity to become sustainable in economic terms. I think his great insight was right, but it is not enough to say what is needed, if you can’t say how. Social change always faces obstacles of inertia, resistance and privilege and, despite his passion and persistence and his connections to both trades unions and co-operatives, the great social movements of the late nineteenth century, Owen had no theory of change except to point back to New Lanark. Owen faced opposition too from many of his fellow investors over time. Even where corporate responsibility, the first of its kind in modern times, generated outstanding profits as a system, the simple accountancy of investors was that profits would be higher if the costs of social provisions in the system were lower. Owen inspired many people though, not least the wave of co-operatives that were to follow. He is rightly considered the father of co-operation. It is helpful to remember though that he himself acknowledged a number of grandfathers. John Bellers was one, a visionary writer, who had argued for a college of industry in 1696. As a teenage apprentice in Stamford, Owen read a second, Seneca, the Roman stoic, who argued in favour of treating everybody with benevolence. 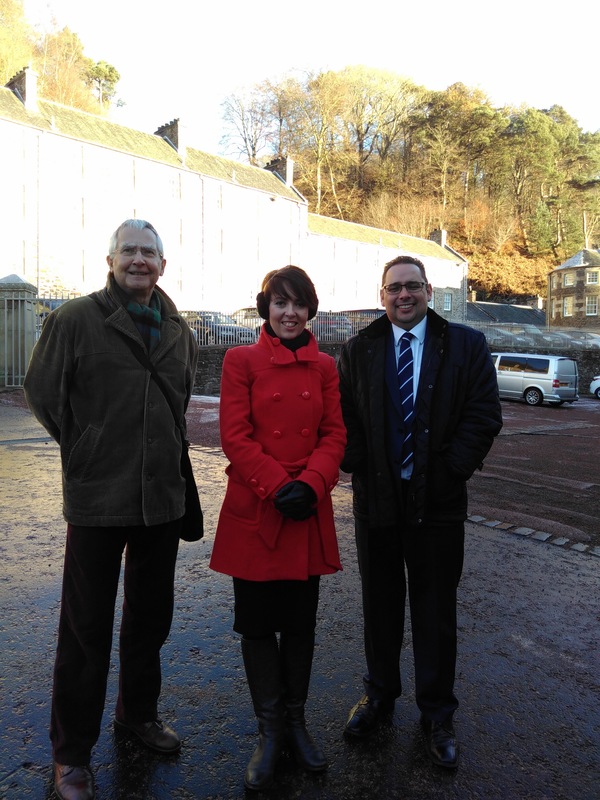 It was the grandchildren of Owen’s thinking that saved New Lanark as a heritage asset in more recent times. The mills closed in 1968, neglected and run down. There were proposals to demolish the site, before local people stepped in with different ideas. One of these was Harry Smith, a local Labour and Co-operative councillor, who started a process with others that led to the formation of a trust in 1974, raising capital to start restoring the housing. 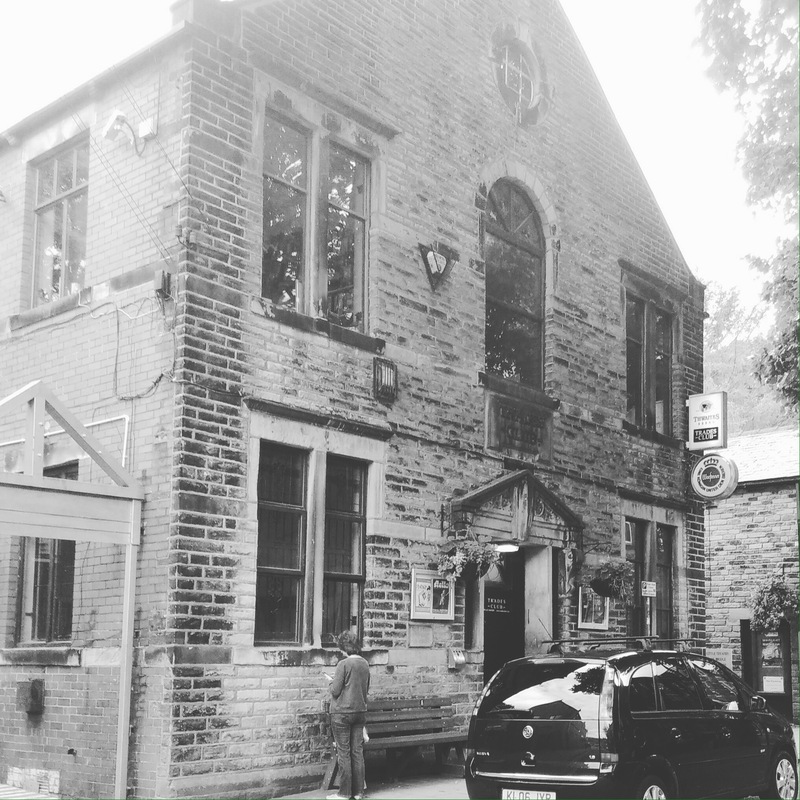 The trust invited people who could restore the houses to the right standard to purchase homes, bringing in investment and revitalising the village. In 1982, the local authority backed a compulsory purchase order, to take ownership of the mills from a mining company that had left them unused. With young people getting jobs in the reconstruction, in an area hard hit by economic change in the 1980s, the trust won support and grants from the Manpower Services Commission. Work started on the Visitor Centre and with it. a dynamic local manager, Jim Arnold, a man in Robert Owen’s true mould. In 2001, the site was given World Heritage status. When I visited it this week, courtesy of Scott McCauley, the new Trust Director, Jane Masters, visitor manager, and Iain MacDonald, trustee and co-operator, the restoration work continues, with new ideas and new exhibitions planned. A recent showing of the Scottish Tapestry had tripled the numbers of visitors. The trust acts as a housing association, offering a mix of homes for villagers. A new adventure play area, designed last year by children in local schools, has won multiple prizes. The New Lanark hotel, the former Mill Number One, is the most booked up hotel in all of Scotland and New Lanark ice cream is on the menu. It continues to be a model of social enterprise. New Lanark is where the industrial revolution and a social revolution took hold. It is not just history. It is the past, the present and the future rolled into one. 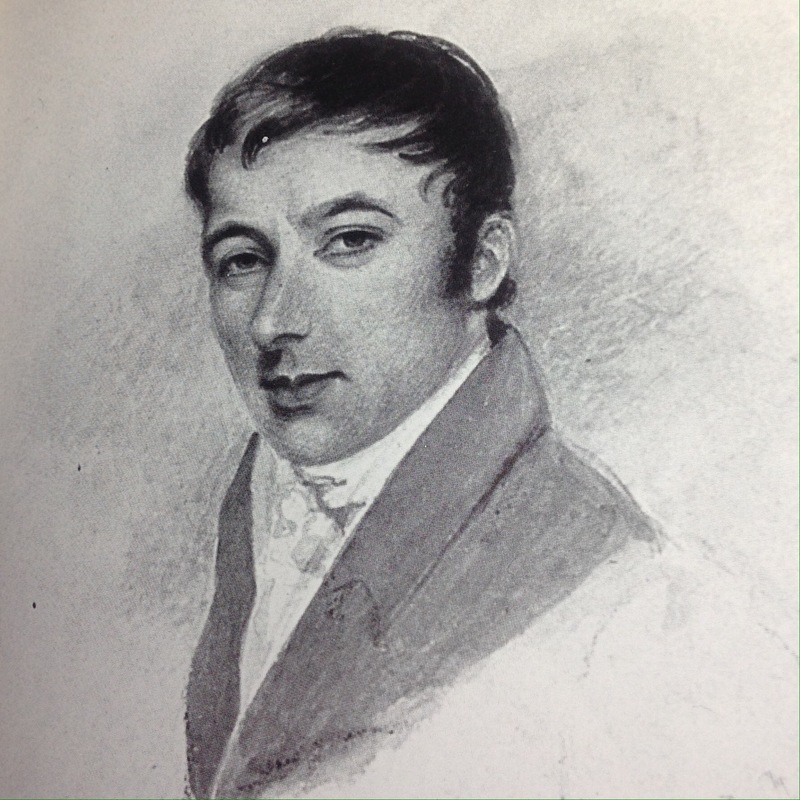 PS for a history of the life of Robert Owen, I am indebted to Ian Donnachie’s book for Tuckwell Press, Robert Owen: Owen of New Lanark and New Harmony. I am pleased to see that in turn, he drew on the archives of Robert Owen’s correspondence, which were passed by Co-operatives UK to the Co-operative Heritage Trust just a decade ago. Education, as Owen would have perhaps approved, is not just about learning new facts, but not forgetting old truths. 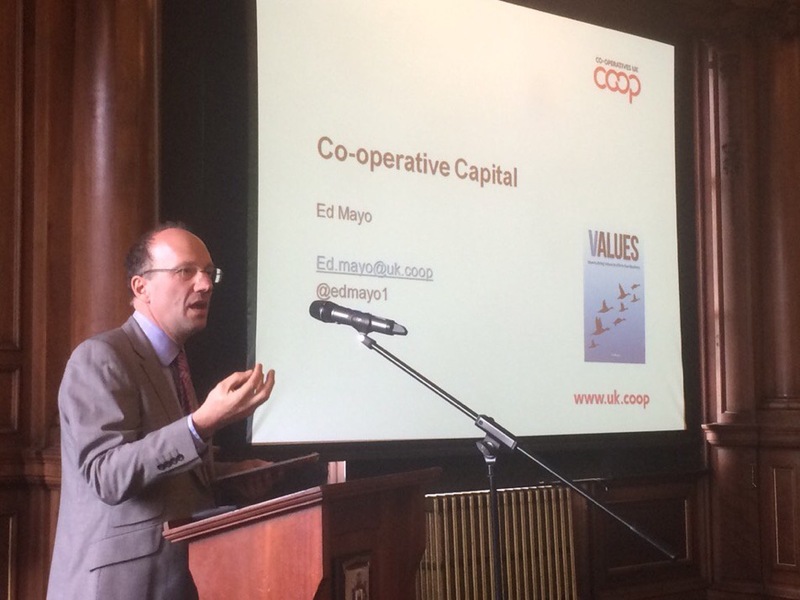 I have been in Edinburgh this week, looking at the results so far of their five year programme to become a co-operative capital city. Efforts like this are at the cutting edge of new partnerships between the state and the social economy, both sectors motivated by human progress rather than financial return. And the results are encouraging: new service models, new thinking and the start of a new culture, all at a tough time for local government in Scotland and across the UK. As John Restakis has expressed it, in work for Vancouver as a co-operative city, cities are a product of co-operation. Their character, how they function, and the quality of life they offer is a telling expression of a society’s capacity to connect personal goals and individual interests into a common life, a sense of community that in turn gives meaning and depth to individual experience. Edinburgh is governed by an unusual partnership between Labour and SNP. That may change in elections in May 2017, but those involved have all laid the groundwork for consensus on co-operation, which is how it should be. The city is now aiming to develop a vision for its own future in 2050. Edinburgh Student Housing Co-op is a successful new co-op with 106 bedrooms and looking to expand into other properties. They’re also involved with students who want to start co-ops in Edinburgh and with Students for Co-operation who want to support other student co-ops across the UK. Harlaw Hydro was one of the first of the new energy co-ops in Scotland funded by a community shares issue (£403,000) in 2013. Now generating energy and income! Graphics Co-op is a worker co-op, founded in 1989, that has been able to adapt to the substantial technological changes in the design and print industry and continues to provide high quality employment. How then do you join these up, into the infrastructures required for a sustainable city? What is needed is new systems models of transport, housing, energy, food, communication and care. And smart models of money, the facilitator of economic exchange and of land, which is the underpinning, connecting space in cities. One approach that sets a blueprint is by Nicholas Falk at Urbed, the urban design and master planning co-op in Manchester, which won the £250,000 Wolfson prize two years ago for best design of a new garden city. These ideas draw in part on the Dutch urban land situation where in many cities the council leases all the land including the commercial space to capture the rent so that cities can become resilient. In one session in the beautiful Edinburgh City Chambers, I also pointed to cities across the water in the USA. The original Co-op City is in New York, and despite challenges, there is wonderful work going on there at a large scale to retrofit and green the housing there in the Bronx. Close by in New York City is the Co-operative Economics Alliance. New York’s City Council committed $1.2 million of their budget two years ago and now $2.1 million to support worker cooperative development. As in the ‘Chantier‘ system in Quebec, co-operative practitioners and their support networks own the programme vision, working alongside their government partners. Co-operation Jackson in Mississippi is drawing together a network of interconnected yet independent institutions as an economic renewal strategy in the capital city of the poorest state in the USA. They in turn are inspired by the extraordinarily story of community economic development that has emerged in Cleveland. As Pat Conaty, Associate of Co-operatives UK and co-author of The Resilience Imperative, describes it, the strategy of Evergreen Co-operatives in Cleveland links up three co-operative economic development tools. First, worker co-operative model create good local jobs including equity development for worker owners and profit sharing. Second, a Community Development Finance Institution owned by the Evergreen Co-op network serves to invest and recycle low-cost capital (as subordinated debt at a rate of 1%) to create enterprise and jobs. Thirdly a Community Land Trust works to develop the space and sites for food growing and for developing affordable housing. They have raised over $200 million of low-cost capital for Evergreen Co-operative Development Fund, their CDFI, and the annual procurement power of their ‘anchor institutions’, primarily state bodies committed to local economic development, is $3 billion. The approach has stimulated similar plans to do the same in other US cities including Atlanta, Pittsburgh, Milwaukee and Washington DC. In Preston, there are active plans underway for a Cleveland style programme, with input from the Basque co-operative network Mondragón. On Monday, the University of Central Lancashire and of Mondragón will present on the next steps, following a survey of the base of co-operative activity in the city and region. These partnerships take time to develop, and for many it is still early days and in the fluid context of ongoing devolution, but it is encouraging even so that the concept of the co-operative city is now inspiring action across such diverse settings. 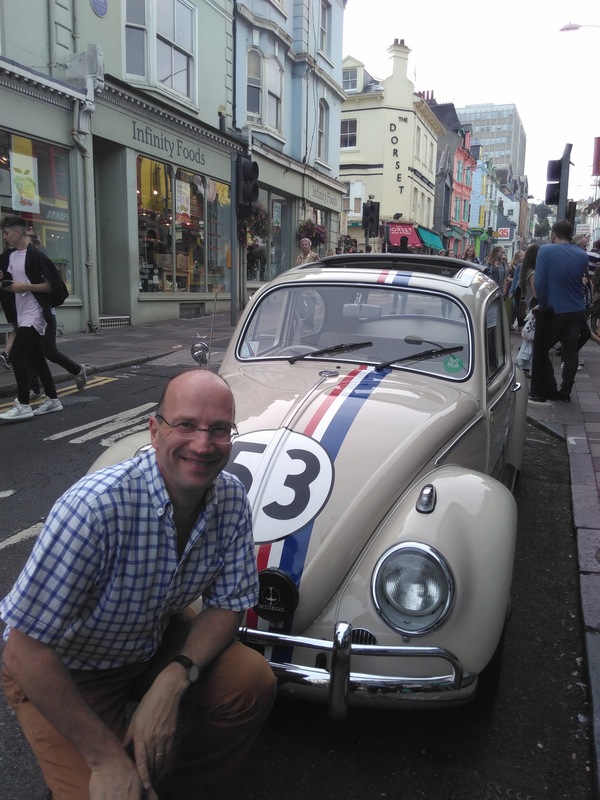 There is an allegation hanging over me, most repeated by my family, that in terms of culture, the only films I saw as a child seemed to feature Herbie, the lovable – and non-diesel – VW Beetle. I have a soft spot, for sure, but my travels in my job – and what a privilege that is to go out and visit our member co-ops – tend all to be by train. 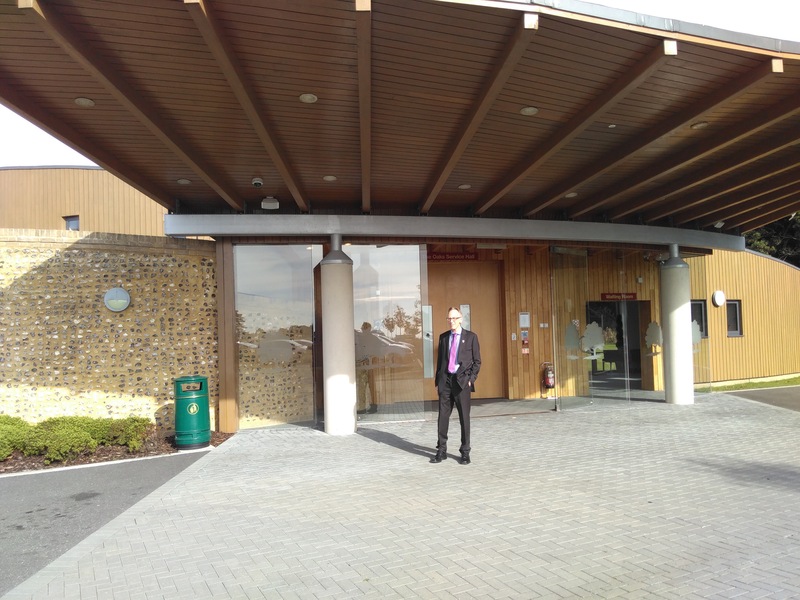 Over recent weeks I have been in Suffolk, Sussex, Hampshire, Lancashire and Yorkshire (today Cardiff, next week Edinburgh) and I’ve posted some photos below from co-ops I have been visiting. 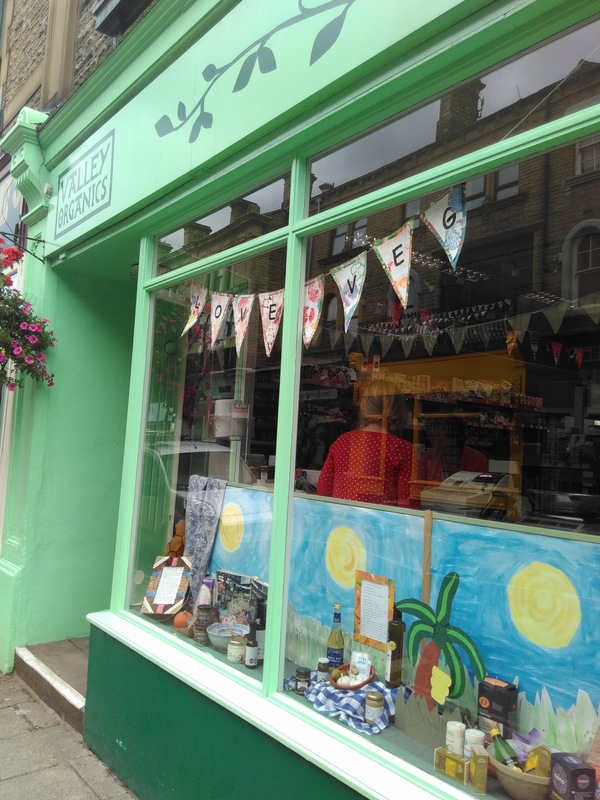 The big surprise was visiting the inspiring, bustling, busy Infinity Foods, a retail worker co-op that is the heart of Brighton’s famous Lanes. Outside was … Herbie! Lovingly restored (copied, the critics might say), I was allowed to take my photo and my turn behind the wheel. And yes, we won the race (in my mind). In Emworth, Hampshire, I saw how the Southern Co-operative is using co-operation to keep a market town thriving. Modelled by Ashley below, they stock local produce from other shops in the town, and open longer hours, they share the proceeds, keeping local shops like two butchers within 200 metres in business and able to diversify into higher end produce. That’s community economic development at its best. Southern Co-operative thinks long term and plans long term, making beauty and sustainability features that will serve it well in a changing world. 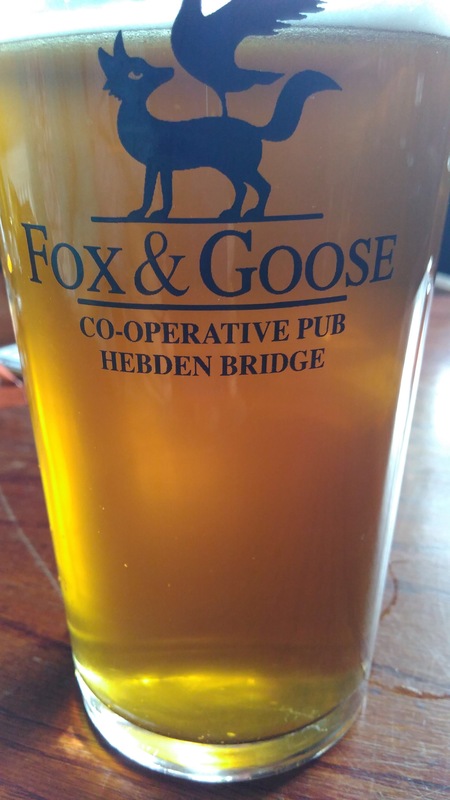 In Hebden Bridge, a town whose renewal and reputation as a place of beauty and community is also down to the commitment and co-operation of local people, I was able to see Valley Organics, the Fox and Goose pub and the Trades Club. 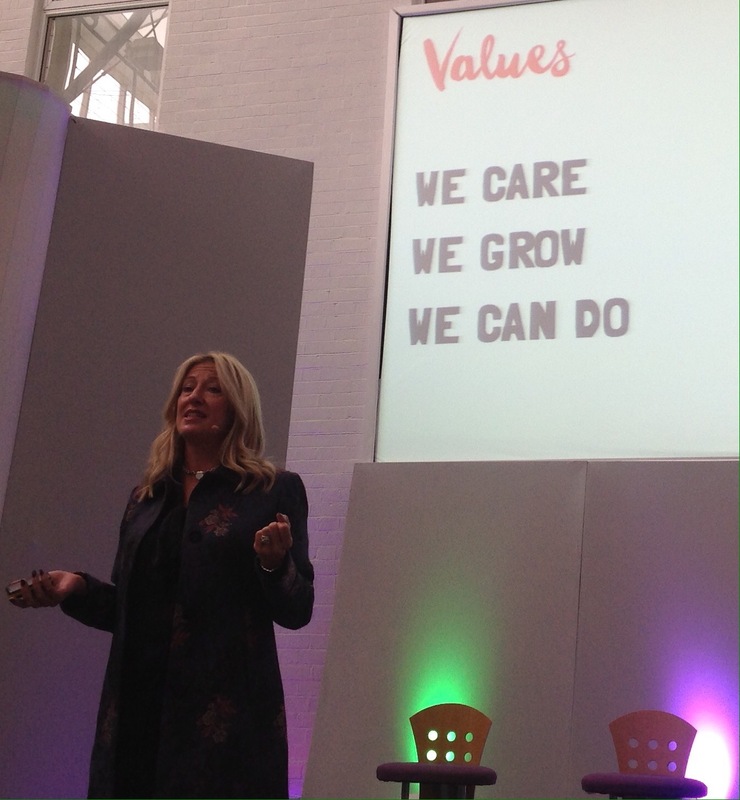 In Ipswich, I spoke at an event for two hundred coop store managers across the East of England, as Minnie Moll unveiled, appropriately enough for me given my new book, their values. Minnie is one of the leadership team that is renewing a much loved independent co-op and it is an amazing story. I can’t think of any UK business turning over more than £340 million that doesn’t have a Chief Executive, but a leadership team of equals. 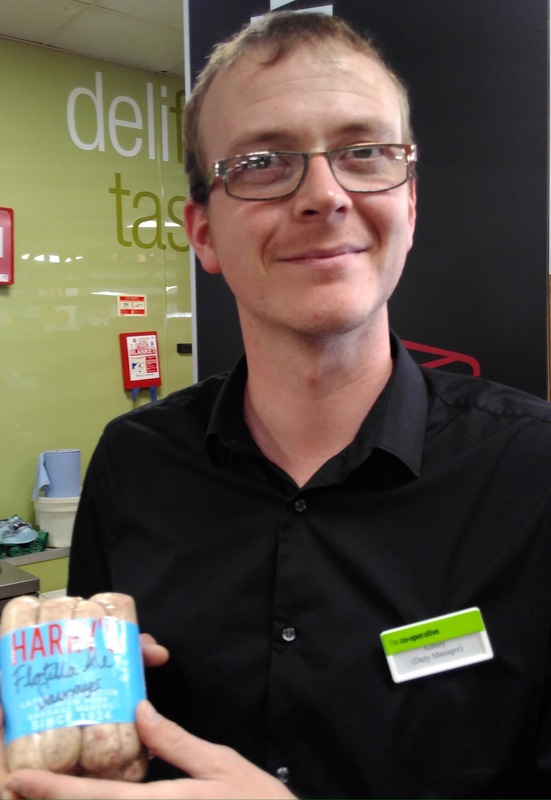 They act as a co-op within a co-op and, while it takes time and a special team to achieve that, I could see by talking to staff how that starts to set an authentically different culture. I am starting an Instagram account, to post photos on my travels, co-op, quirky and quirky co-op. 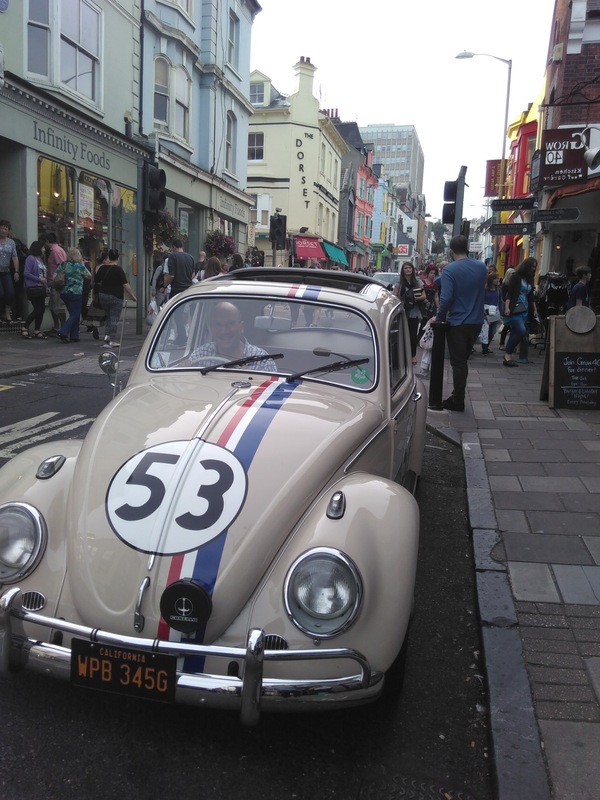 I am so privileged to have a job where I can be inspired by my travels, the people I meet… and by Herbie.